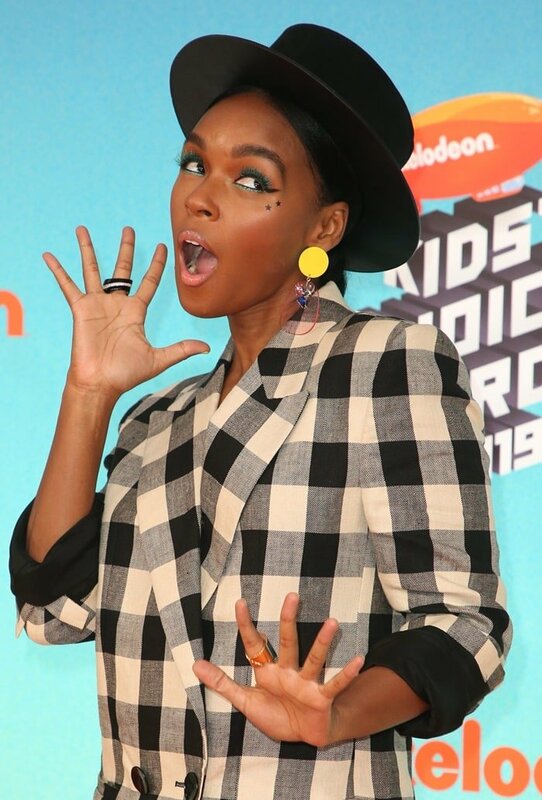 Janelle Monae stroke a pose on the orange carpet at the 2019 Nickelodeon Kids’ Choice Awards held at the Galen Center on Saturday in Los Angeles. Alongside Bebe Rexha, she presented Joey King with the Favorite Movie Actress award during the show. The 33-year-old American singer, songwriter, actress, and producer went pantless in Petar Petrov’s Jina blazer that is rendered in a black and ivory check ($998 at Matches Fashion). She styled her double-breasted blazer with a wide-brimmed leather hat by YVY. 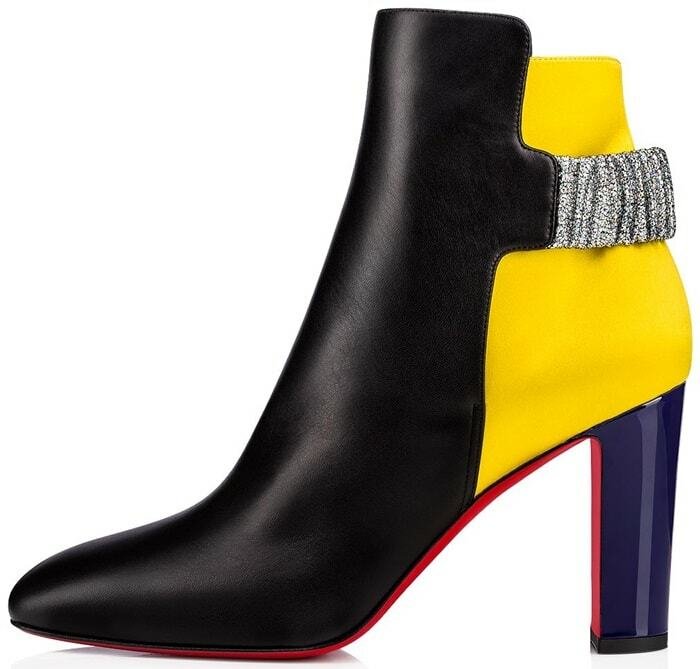 Her look was completed with glittering black and yellow ankle boots from Christian Louboutin. 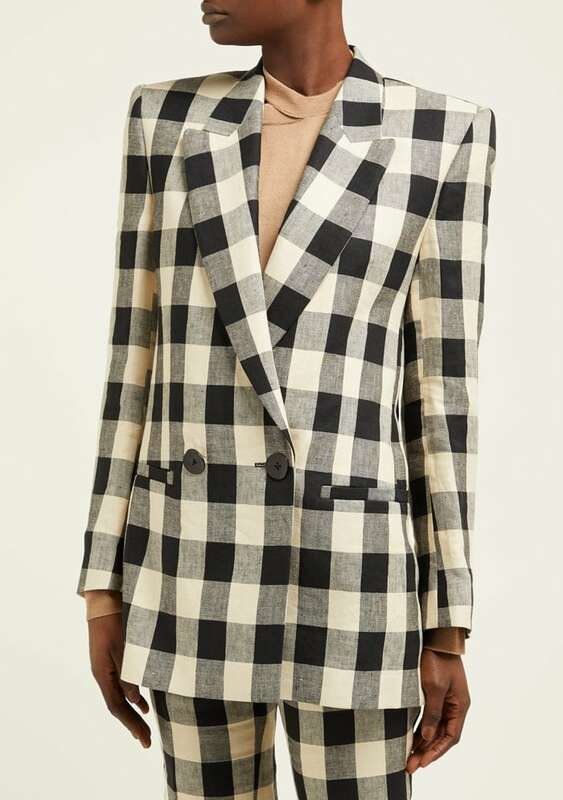 This blazer is rendered in a black and ivory check that gives a graphic dimension to the Vienna-based Petar Petrov’s signature power-suit influenced silhouette. It’s crafted from breathable mid-weight linen twill with peak lapels and features boxy padded shoulders, two front welt pockets and a double-breasted fastening with black organically-shaped metal buttons. Inspired by the flexibility of a dance shoe, the Ecuyera boot combines elegance with modernity. 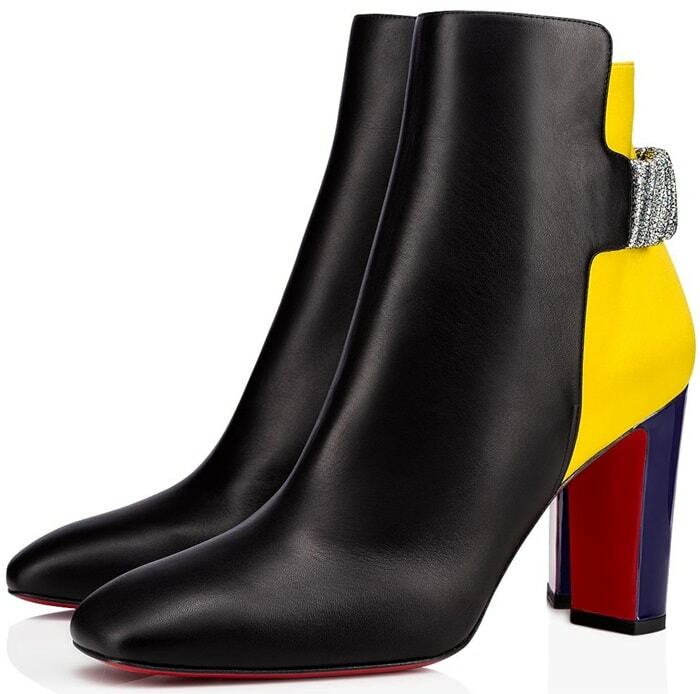 Its black leather upper is made of lemon satin counters adorned with a silver glitter strap. 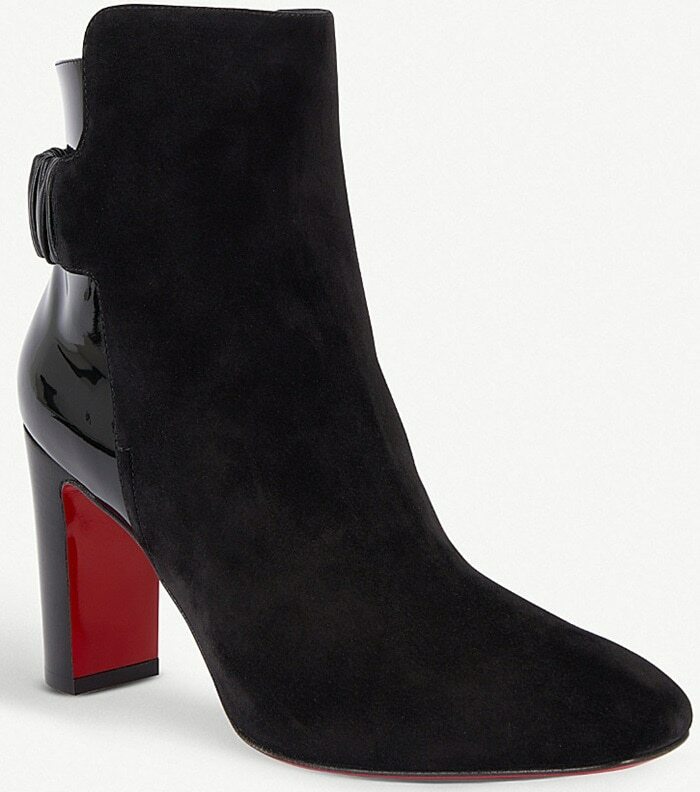 Mounted on an 85mm shiny blue heel, it reveals the iconic details of the Louboutin House with every step. Combining elegance with modernity, they’re made from suede with a patent leather counter and malleable strap – there’s your flexibility.